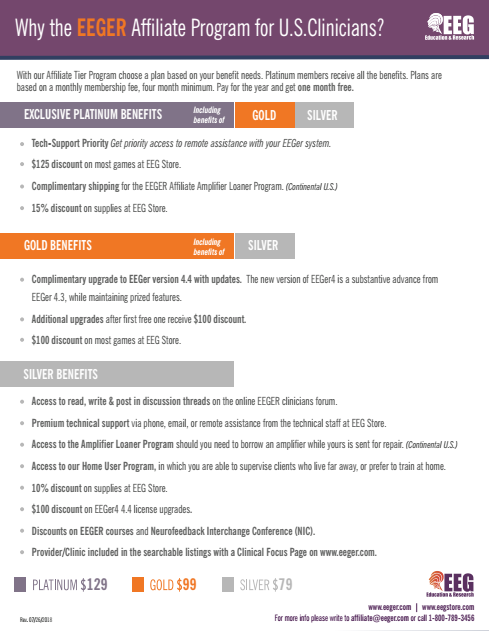 Becoming an EEGER Affiliate is easy! 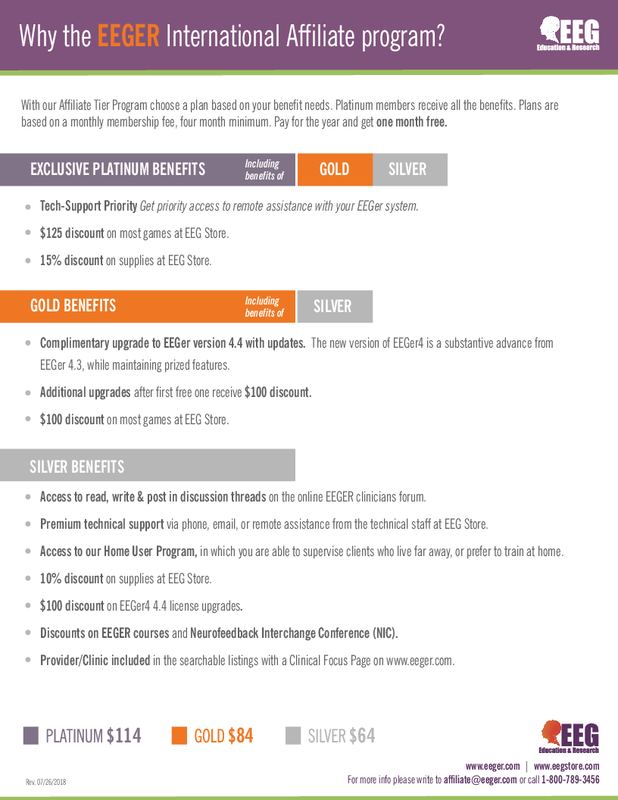 Check out the benefits and pricing of each tier. Next, download the corresponding application below. Fill it out and fax, email, or mail it back to us. When joining as a monthly Affiliate you will be required to pay the first 4 months up front. If you decide to pay for the whole year you will receive a 10% discount. Not in the U.S.? Click here for the International Affiliate Packages.